"If you ride like lightning you're gonna crash like thunder." Ryan Gosling has made a career out of zigging when everyone else zags. After his star making turn in The Notebook, everyone more or less thought he would go the safe route & build a career as a leading man in the traditional sense, but he has carefully built his career doing anything but what's traditional. One of his best performances came in 2010's Blue Valentine for director Derek Cianfrance, so hopes & expectations are high for their latest collaboration The Place Beyond the Pines. Gosling plays Luke, a motorcycle riding drifter who comes to the small town of Schenectady, NY with a traveling carnival. He meets & sleeps with a local girl named Romina (Eva Mendes), and when he returns the following year, he discovers that she has a young son that he fathered on their night together. Luke quits his job and decides to stay in town to find a way to be in his son's life and provide for him. He takes a mechanic job working with a local guy named Robin (Ben Mendelsohn), who recognizes Luke's skills with a motorcycle, and convinces him to use his talents to rob banks. Since Romina is living with another man, Luke thinks that perhaps if he makes enough money robbing banks to provide for his son & her, that she'll want to live with him instead. His bank robberies, however, put his life on a course to intersect with a rookie cop named Avery (Bradley Cooper). Their fateful encounter sets off a series of events that ricochet over the next fifteen years. If you've seen the trailer to the film, you've already seen too much. For me to say anymore than I've already said would be to give even more away. Needless to say, the trailer not only contains too many significant plot points, it also misleads you into thinking the film is going to be intercut & woven together in a large tapestry of their intersecting lives, and that's not how the film plays out at all. The narrative is a pretty straight line from A-Z, which is not at all what the trailers led me to believe. If you've somehow managed to avoid the trailers, I would recommend you not watch them, stop reading, and go see the film. One of the things that really struck me about this film was the immediacy of the way it was shot. Blue Valentine had an almost claustrophobic style that made you feel like you were suffocating along with those characters, but this film is much more expansive. It runs 140 minutes, but it's never boring, and the handheld camerawork smartly keeps you focused on what's important in a given scene. The bank robbery scenes are wisely chaotic & frantic, but the dialogue & character driven scenes are much more classically shot with a handheld edge to them. In short, if you didn't like Blue Valentine, don't be afraid that this will be more of the same, and if you did like it, you'll find yourself pleasantly surprised by how versatile a director Cianfrance has turned out to be. Gosling's performance in this film is nowhere near as good as it was in Blue Valentine. Too often in this film, he tries to do more by doing nothing at all, and it just sort of falls flat most of the time. I like Gosling a lot as an actor, but he's almost too minimalistic here for this character. He keeps him at arm's length from the audience and the rest of the characters, and I think that was a mistake. 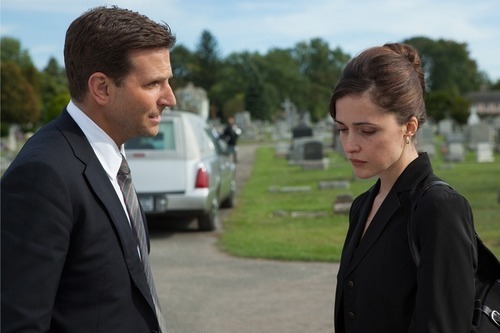 Cooper is very good here too, though not as good as he was in Silver Linings Playbook. He dials his character down significantly, and it works for most of the film except his next to last scene which I thought he overplayed. However, it was Ben Mendelsohn who stole the whole film for me. He's only in a handful of scenes, but he's such a dynamic character that while the other two (no offense) pretty boy actors are busy showing you how they can do more with less, Mendelsohn goes for broke and ends up upstaging everyone. After his small roles in Killing Them Softly & The Dark Knight Rises, he is quickly turning into one of my favorite character actors working today. The film also features great performances from Ray Liotta, Bruce Greenwood & Harris Yulin in very small but memorable roles. The biggest issue with the film is that it goes on about five minutes longer than it should have, which is odd to say about a film that's this long. It wasn't necessarily the running time I had an issue with, it was the final scene which I felt almost single-handedly derailed the entire movie. It was trite and obvious where the entire rest of the film hadn't been. I don't want to say anymore about it, but I'm curious to see what others think. I think it would have been a better movie without the final scene. 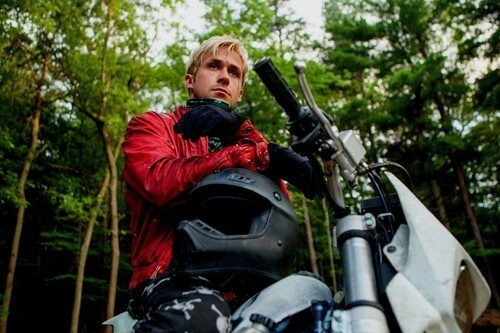 The Place Beyond the Pines is a very good film, with very good actors & very good writing & direction. However it fell just shy of greatness for me. I enjoyed the theme of the film with its meditation on fathers & sons and people being doomed to repeat the past if they don't learn from it. But it feels elusive to me, even now just an hour after seeing it. It holds you at an emotional distance, similar to how Zero Dark Thirty did late last year. It's an excellently made film, I just didn't connect with it in the way that I hoped I would, and, I imagine, in the way the filmmakers wanted me to.